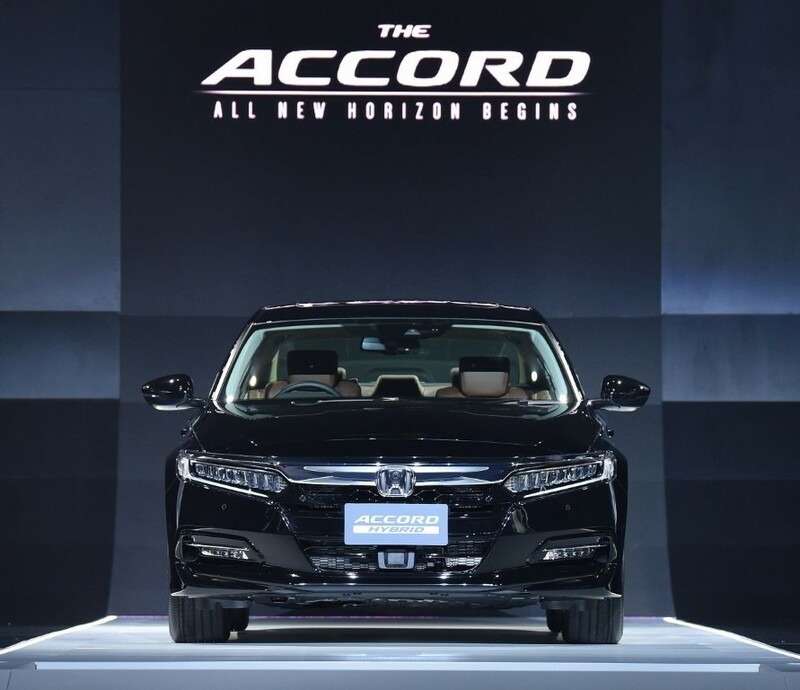 BANGKOK: Honda Automobile (Thailand) Co Ltd has introduced the all-new Honda Accord premium sport sedan, with the Honda Sensing premium advanced safety technology. 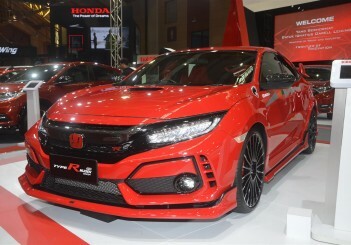 - a 1.5-litre Di VTEC turbocharged engine producing 190ps and maximum torque of 243Nm featuring direct injection, and a CVT (continuously variable transmission). 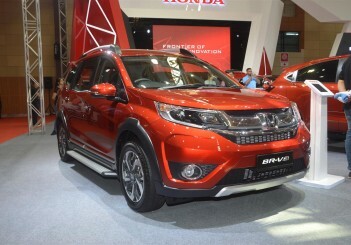 This 1.5-litre turbocharged engine offers better performance than the 2.4-litre engine in the previous generation and impressive fuel efficiency of 16.4km per litre which is better than the previous 2.0-litre engine. 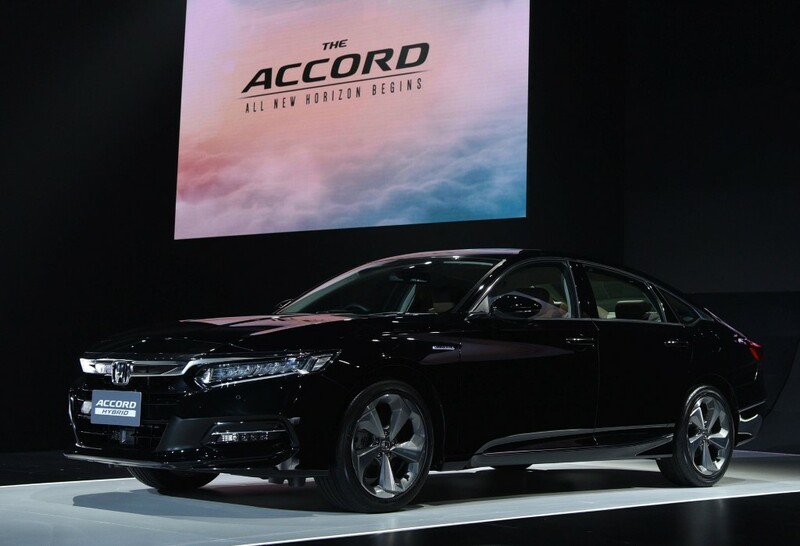 - Sport Hybrid Intelligent Multi Mode Drive (i-MMD) system which has a 2.0-litre Atkinson Cycle, DOHC i-VTEC engine, 4-cylinders 16-valves with two electric motors, E-CVT and Lithium-Ion battery that produces 215ps. 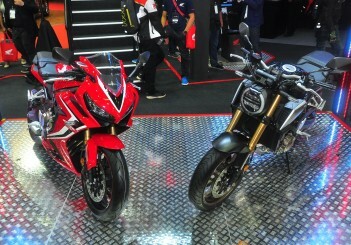 Fuel efficiency is claimed to be 24.4km per litre. 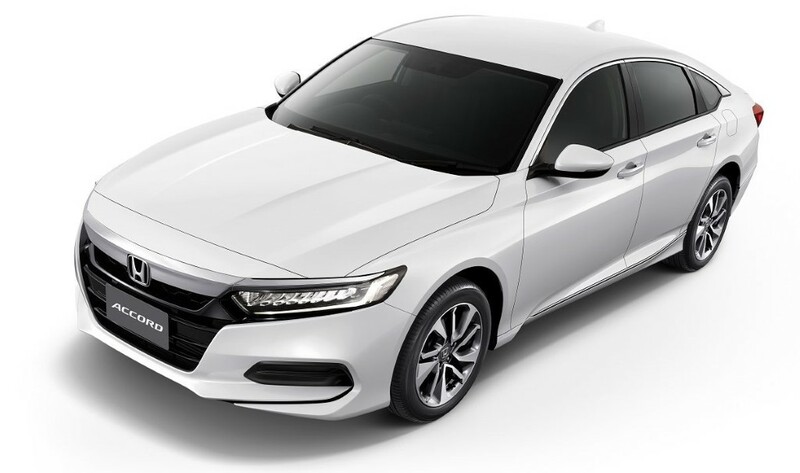 Meanwhile, the Honda Sensing safety technology with a millimeter-wave radar and monocular camera work together to sense obstacles in front of the vehicle while warning and assisting drivers in critical driving situations to help minimise collision severity. 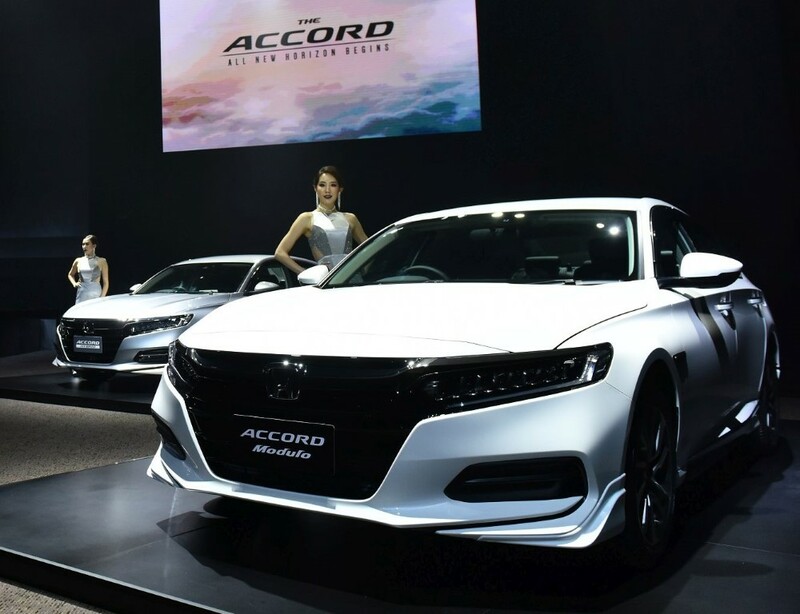 There's a new chrome front grille, LED Daytime Running Lights (DRL) and LED taillights, 17-inch alloy wheels on the turbocharged engine model and 18-inch wheels on the Hybrid model. 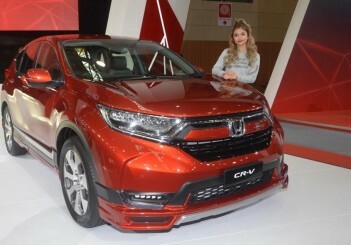 The cabin is more spacious, offers more leg room, and has premium functions such as the Head-Up Display (HUD), the 7-inch TFT driver’s meter, the 8-inch Advanced Touch instrument panel that supports Apple CarPlay, SIRI voice command support, wireless charger, and Engine Remote Start. 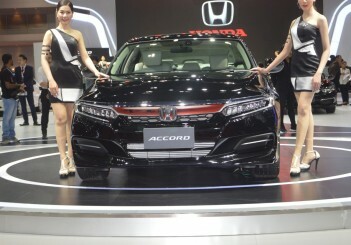 Official prices of the new Honda Accord in Thailand will be announced in May 2019.